It may seem like an odd combination: applying a Transport for London concept to your business. However, red routes in London have more in common with the way we work than you may think. Here we take a look at the theory of red routes and how they can be applied to your business and specifically your website. What are red routes in London? Red routes have been designed in London because London has more cars than it has parking spaces: as such, trying to find parking spaces in London is like a game of musical chairs with many drivers searching around desperately looking for an empty place next to a kerb. This became even more difficult when yellow lines on main roads were usurped by red lines that banned all forms of parking, stopping and loading on designated routes. 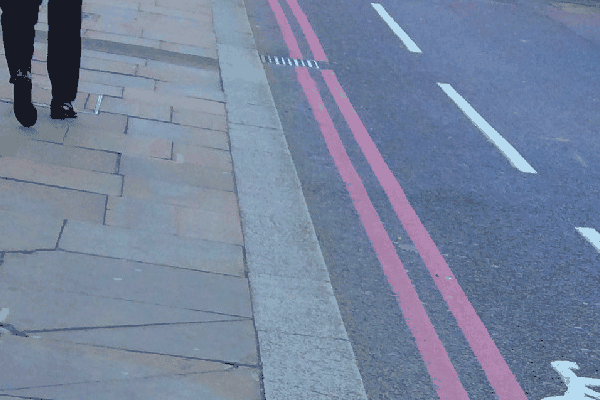 These roads with red lines became known as red routes: with Transport for London doing all it can to ensure that journeys on these roads are as fast and smooth as possible. Effectively they are seen as the key arteries that make transport flow in London: and it’s vital that these roads are not clogged by drivers looking for a place to park. The short answer is: yes. According to research, bus journeys have become 10 per cent quicker and 27 per cent more reliable since red routes were introduced. Indeed there has also been a six per cent reduction in accidents while reliability has improved by an impressive 20 per cent. So how can this theory be applied to your business? The red route concept needn’t be restricted to bus journeys: it can actually be applied to websites too. If we become the traffic wardens and treat objects that affect usability in the same way that they treat badly behaved drivers then we can reap the rewards of a much more efficient website. However, how do we go about doing this? Effectively you must think about how critical the activity is and how frequently customers use it. For example, a frequent activity might be “search” because customers are so reliant on it. Meanwhile, a critical activity is something that your users will be very frustrated by if it is not well supported. This might include something such as editing your personal details on a website. These activities are effectively the core of your website: if you get them wrong, then your business could be under threat. What should a red route look like on your website? Key business objectives: For example, if you have a local authority website then this could be something like paying council tax; or if you run an e-commerce site then this could be the ability to buy your product. These are vital routes for your organisation to ensure it makes money trouble-free. Key customer objectives: Don’t focus solely on money making – think about what’s important from your customer’s perspective too. Visitors on your website have their own goals: for example, if you have an e-commerce website then they will want to know that they are getting true value for money as there is always the consideration that they might be able to find the product for less somewhere else; or that some of its key features might not match up to other products. So defining the product becomes a red route: highlighting things such as customer reviews and testimonials or showing comparative prices on competitor websites. All of these factors are important to your customer and will help them make the decision of whether or not to buy the product from your website. They should be complete activities than usually rely on several web pages. They should not be simple tasks. They should lead to a measure of accomplishment: there should be a clear “success” by using a red route, something more than just wanting the website to be “user friendly”. Portability is vital – think about the services that competitors offer and ensure that your route is clearer and simpler to use. Goal focused – they should dictate a single implementation and should not be procedural steps. Be realistic – focus on the most important goals for your organisation and be accurate. Perhaps the key to finding the red routes for your company is to carry out market research. This doesn’t mean that you’re necessarily asking people directly: but rather that you’re looking at search queries over a large period of time so you know what people are looking for and how they are arriving on your website from Google; ask the people in your company what customers are asking for; listen to customer calls if you have a call centre; and look at your competitor’s approach. Once you find your red routes, order them in terms of whether they are critical or serious and then attempt to address the problems. Think about how easy they are for users to overcome and whether the problem is persistent. Hard to solve problems are more important because they effect the completion rate; while persistent problems may cause customers to look elsewhere. Addressing these problems will not reduce traffic on your website… but they will make your roads smoother. Mobile App vs Mobile Website – What’s Best for Your Business? Excuses, excuses, excuses – is CRM really to blame?